Home → Blog → Airline lost golf clubs belonging to Rory McIlroy! Rory McIlroy is struggling a bit in his preparation for the 2014 Irish Open at Fota Island in Cork. It seems that being a famous golfer is not enough to protect you from the dreaded lost luggage nightmare. It’s even worse when it’s your golf clubs, but I suspect he didn’t pay £40 each way to get them on the plane. United Airlines have, it would seem, lost his golf clubs and on Tuesday 17th June Rory took to Twitter and did what we all would, announced to the world that he was without his clubs, 24 hours after his arrival in Dublin. I wonder if this was after he spent hours waiting on the phone to talk to their customer services team? 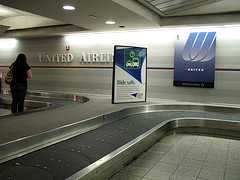 “Hey United (Airlines), landed in Dublin yesterday morning from Newark and still no golf clubs,” said McIlroy. United Airlines quickly responded to McIlroy on Twitter and asked the golfer to provide further details to them. 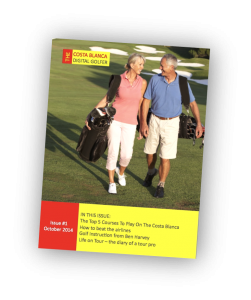 “We understand how important your clubs are to you. Please follow and DM [direct message] us you bag reference ID. We’d like to follow up,” said the United Airlines tweet. Now, I’m pretty sure that the last thing yo want to hear, as one of the most famous golfers in the world, is to be asked for a bag reference ID – just how many golf bags have United Airlines lost that they need to get extra details like that?